Juanita Moomy Intersection of Alvarez thomas and Palacio Viejo Streets. tel: (054) 28-8881 visits: l-v 8:00-15:30 exhibits a varied collection that comprises stone devices and human sacrifices rests , nazca culture ceramics, and ceramics of tiahuanaco, huari and Inca cultures and gold and silver devices from the Colonial and Inca epoques. Cruz Verde Street 303, cercado. 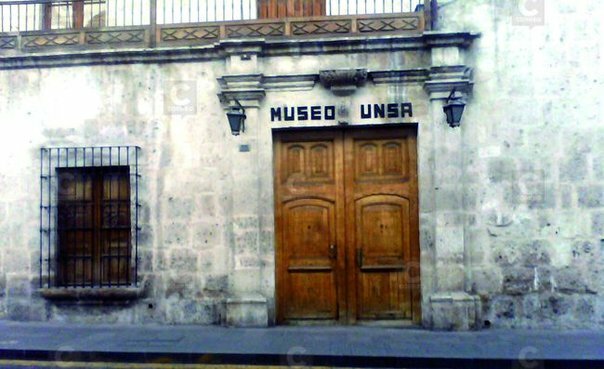 tel: (054) 95-9636 visitas: mon-sat 9:00-17:30 created in 1909 it has 7 exhibition halls in which pieces of stone piecees, stone weapons and textiles from the different historic epoques of Peru. Santa Catalina Street 210, cercado. 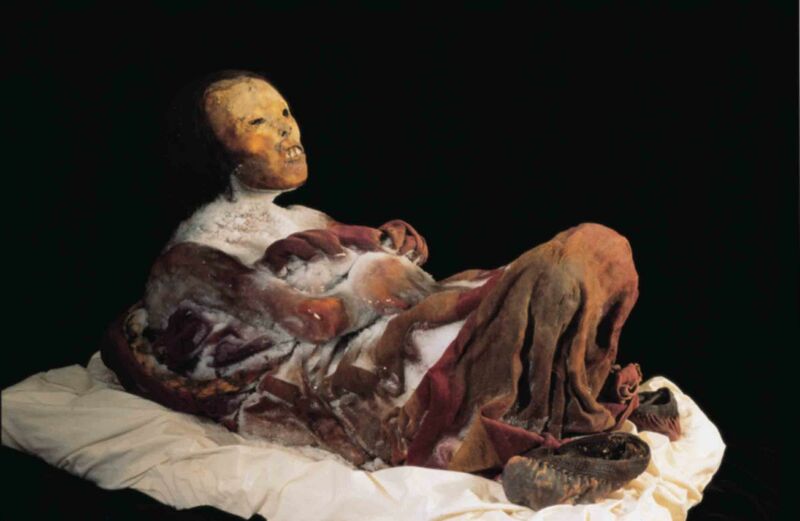 tel: (054) 20-0345 / 25-2554 visits: mon-sat 9:00-18:00, de 9:00-15:00 situated in front of the Santa Catalina Monastery , it exhibits the Ampato Lady , an inca mummy of a girl of about 12 or 14 years old that waas found at the top of the Ampato volcano by the climber Miguel Zarate,the archaeologist Jose Chávez and the anthropologist Johan Reinhard on september the 8 in 1995. the rests were found frozen and is assumed that has about 500 years of antiquity . According to the specialists is very probable that the girl was dead of a blow in the head with a granite five pointed macana. She was apparently the offer to apu Ampato. FestidanzasArequipa has a great variety of dances and musical manifestations that are complemented with the multicoloured clothing of the dancers. The most outstanding dances are the Arequipenian Carnival, typical dance of the Carnival celebration and of the Aniversary of the City's fountdation ( august 15) ; The Yaraví ,of Quechua origin and the pampeña, considered as the primitive huayno, in which the dancers get disguised of chacareros ( farmers). 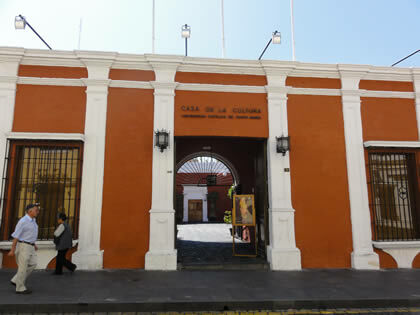 In Arequipa the leather is worked to produce belts, and different articles for furniture. The ashlar stone is udes in decorative articles , and the forged iron is used for the manufacture of grates, lamps and decorative furniture.